The Big Quiz Thing: Returning January 26: The Big Family Quiz Thing! Returning January 26: The Big Family Quiz Thing! Are you paying attention? Perhaps not; Xmas is in two days, Kwanzaa in three, New Year's in nine. 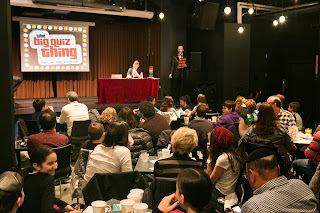 Nonetheless, I wanted no more dawdling in officially sending out the word: At last, the Big Quiz Thing is reprising one of 2013's most successful quiz events: The Big Family Quiz Thing! 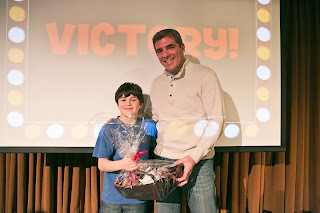 Last January, we packed the house with trivia lovers of all ages at the much-missed 92YTribeca for our first ever all-ages quiz spectacular (we announced it for ages eight and older, but plenty of six- and sevens showed up and didn't seem to miss a beat). In league with the fine folks at Time Out New York Kids (whose Caroline Voagen Nelson took the photos you see here), we adapted the much-loved BQT format for our future and had more fun than even we anticipated. (Kids love chanting from 10 to 1 during the Lightning Round countdown, which I should've seen coming.) The winning team—the duo of young genius Alex and his bemused dad—racked up nearly a perfect score, striking fear in my heart that this prodigy will one day usurp my crown as trivia king of NYC. 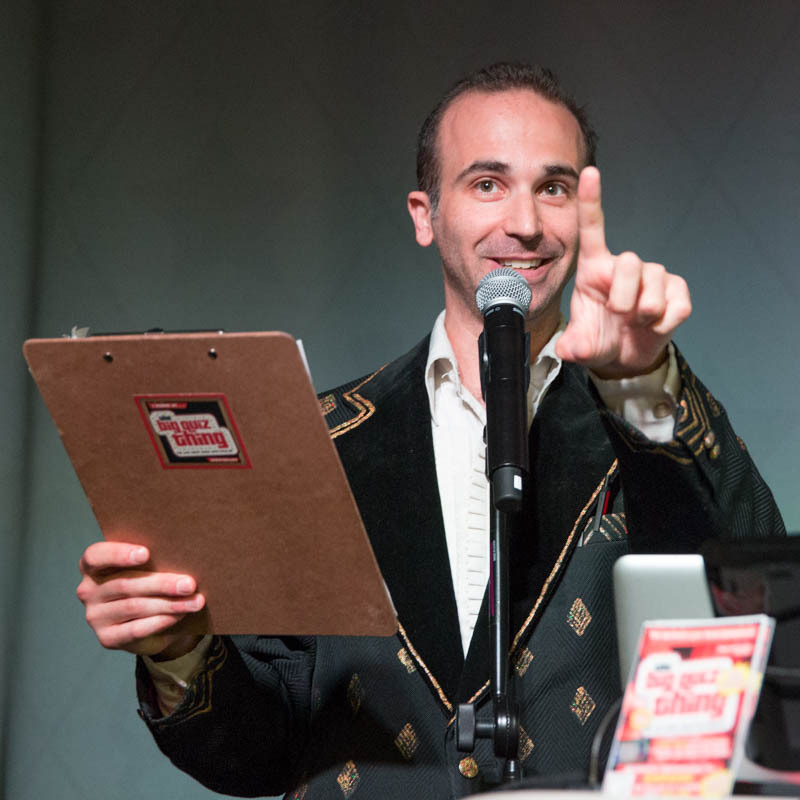 For a variety of reasons (e.g., the TV show), it's taken us longer than we'd hoped to schedule an encore edition, but now it's happening: Sunday, January 26 (no, that's not the day of the Super Bowl), we're bringing the BFQT to our current Manhattan home of SubCulture, for another afternoon of family-friendly quiz perfection. Expect the same grab bag of trivia fun, more fantastic prizes (Time Out Kids is back on board), kid-apropos snacks and drinks, and even a face-painting station. It's Sunday, January 26, 2pm, at SubCulture. Tickets are on sale now; details and links here. This time we're announcing it for age seven and up, but everyone's welcome. More info coming soon—we're scaring up fantastic prizes (hard to top last January's haul, including TO Kids, the Children's Place, Cinderella on Broadway, The Gazillion Bubble Show, on and on). Stay tuned, kiddies.